Nice Spider-Man vault edition. Bought it new when it came out. Been at our pinbar since then. It’s in good shape ready to go. These are supple-rico's all time market stats. Might want to clean it and take pics again. It'll show much better. Novus is your friend. At this price, he won't have any issue By far the cheapest VE I've seen. yes very excellent price and a very good game it's still quite brand new it should sell very quick.no worries to the seller it will sell just like as is good luck.i saw one here near me and price was close to 9k. i would jump on it if i was planning to buy a pin you dont see this everyday especially the price.on some of the other machines out there are no where near as nice as this one and are heavily used older machines asking a ridiculous amount and no where as fun. Has this thing had any issues or maintenance done over it’s life on route? Omg, this thing isn't off the market yet, what's wrong with you people? If I lived in Texas (within driving distance! ), this would be gone. Some of these questions and comments are nuts. Go see the damn thing and buy it. Great price! If I lived in Texas, this would be gone. Some of these questions and comments are nuts. Go see the damn thing and buy it. Great price! that's a good point. Forgot how big it is!! HUO examples seem to be selling around 6k so why all the fuss over a routed one for 5k? Appears it has been played a fair amount with all the black grime on the pf. Maybe just the typical Pinside price pumping going on. Because routed vs hou is meaningless. If the games in good condition, it's in good condition, and this one appears to be. Giddy up!! I see a road trip in your near future. 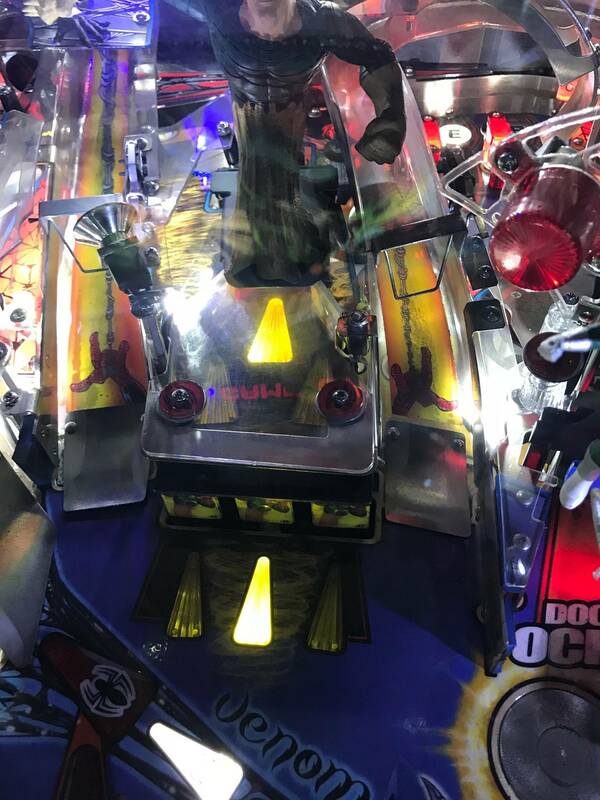 There is a negative stigma with what most people associate a routed machine to look and play like, and 90% of the time they are right. Like you said it's all about condition. if he cleaned it up a little, pretty sure he could tack on another 300-500 and still sell it relatively easily. I guarantee you the next guy will buy it, play it, clean it and not disclose that it was used on route(if that matters) and sell it for 5800k. How many plays? the metal in front of both ramps appear to be bent upward , unusual for a year old pin. Not unusual. My SMVE had the ramp flaps raise up shortly after I received it. 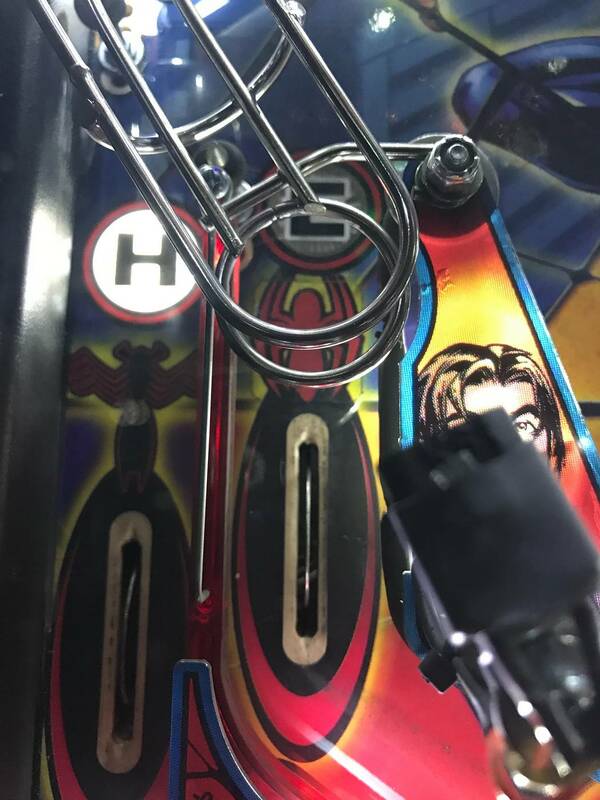 Either the ramp has worked its way loose and needs tightened down or someone attempted to clean the playfield and ran a cloth underneath the ramp flap and bent it up. I'm guessing the ramp has worked itself loose and has never been adjusted. I disagree. A routed game being turned on 12+ hours a day is generally going to stress the electronics, circuit boards, connectors, LEDs, display, etc. more than a HUO machine. These were $6700 NIB, so $1750 off is a good deal. Safe price. GLWTS! $5k for this game is a steal. When I picked mine up new they were $7100 NIB. Great game, great price. GLWS! Are you guys that are saying this is a steal and looks great actually looking at the pics? I mean...it's hard to see any detail with the lighting and resolution, but I see some fairly nasty chipping around the magnet, heavily ghosted inserts, a chunk out of the right outlane, etc. 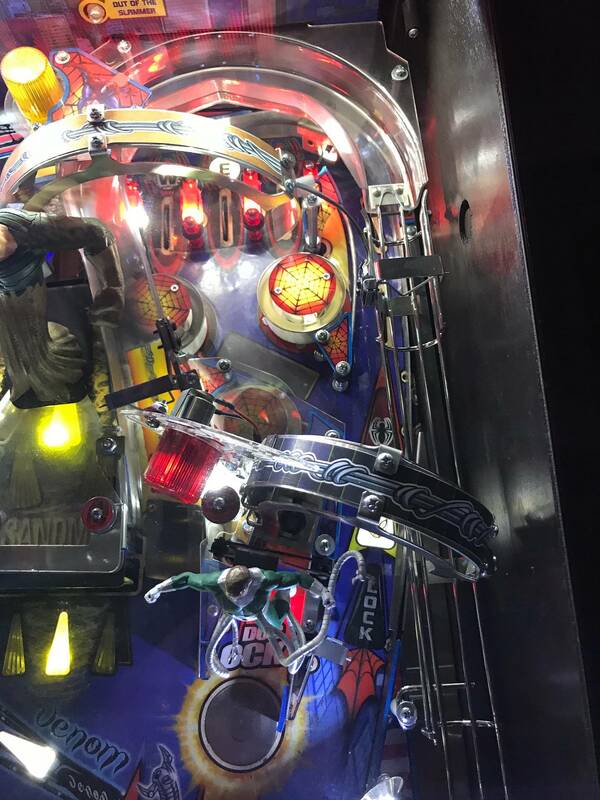 The amount of dirt on that playfield tell me this machine was not well maintained or cared for, and was heavily played for it's age. Don't get me wrong, I think the price is reasonable for the condition, but those saying this is an amazing price and it will be just as good as HUO with a little cleaning are insane. id pay that for the siderails alone! 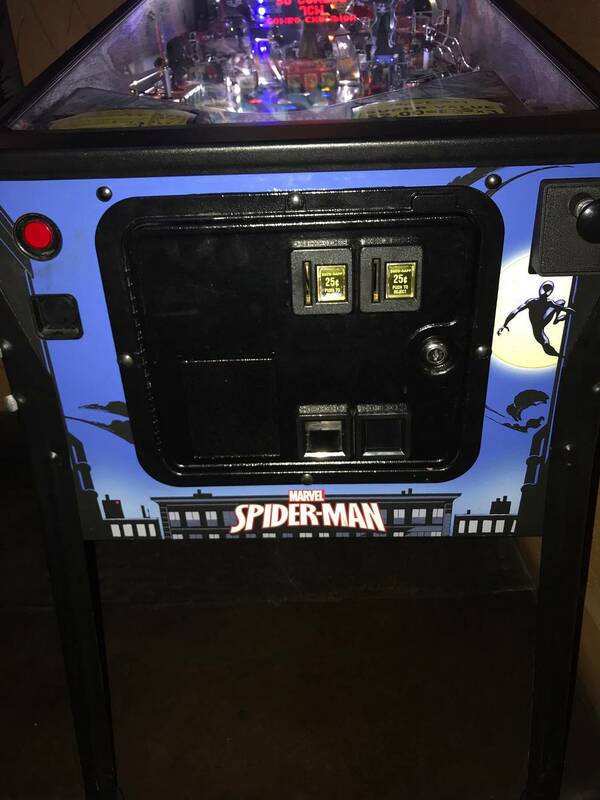 right brand new is a hefty penny thats why this one is a great buy.sure there might be dirt and needs cleaning but the game is still fairly brand new.i would not mind cleaning the playfield for a price like that.great game +great price+great condition=awesome. Seriously, some novus 2, flaming polishing and this thing will shine at a fraction of the cost. Obviously the condition isnt HUO and he has stated that and he isn't asking a HUO price. SMVE is a great game and the art package is some much better than the original in my opinion. Someone will enjoy this game if they buy it. Are you guys that are saying this is a steal and looks great actually looking at the pics? I mean...it's hard to see any detail with the lighting and resolution, but I see some fairly nasty chipping around the magnet, heavily ghosted inserts, a chunk out of the right outlane, etc. Ah great pickup on the ghosted inserts. Hard to do a total count of them, but I bet stern would replace the PF if there was 10 or more. My SM PF was replaced in January. I was the second owner. Stern did not ask any qyestions of who bought it, where, when, etc. . Good service for me after the PF bloop. So if one could get a new PF with all new parts on this game then it would be a super good deal. No? Yea...that would definitely help. Besides the ghosting, that wear by the magnet and outlane (and who knows what else is hiding behind those bad pics) will definitely not clean up with some Novus. A new playfield would be the only way to fix all that, and like you said there is a good chance Stern would replace it based on the ghosting. 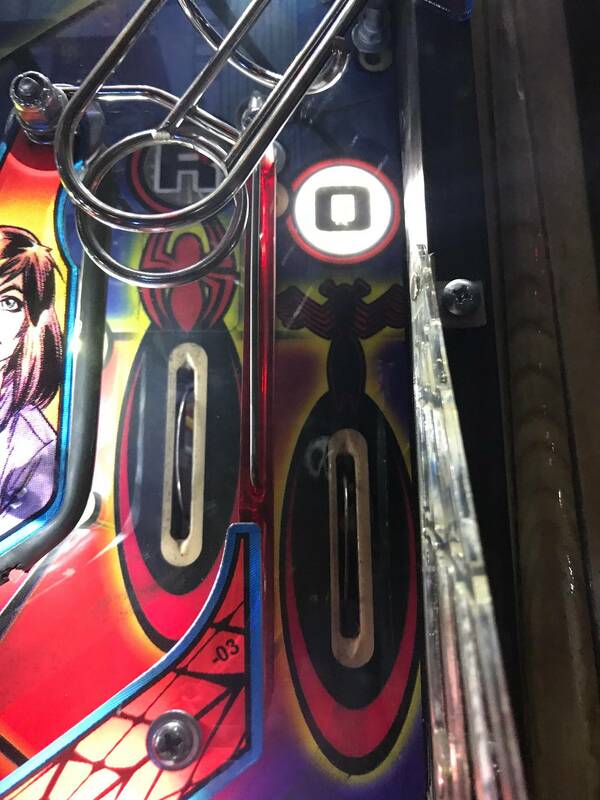 If that happened, yes it would be a great deal (assuming the rest of the machine is nice...can't tell from these pics) If I were the OP, I would try to get it replaced before selling and definitely make more money on the deal. 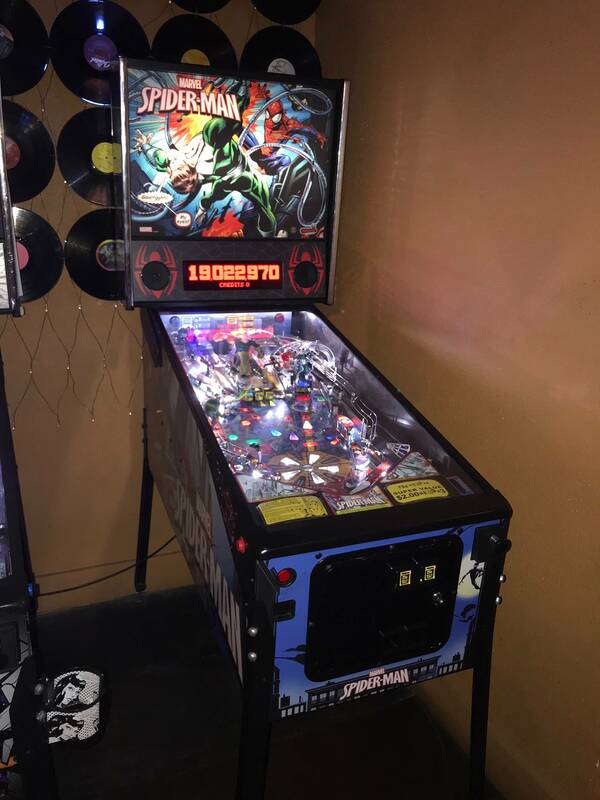 If I were a potential buyer, I would want to see the machine in person first to make sure there isn't cabinet bumps/bruises/scratches and make sure those side rails aren't scratched or dented. 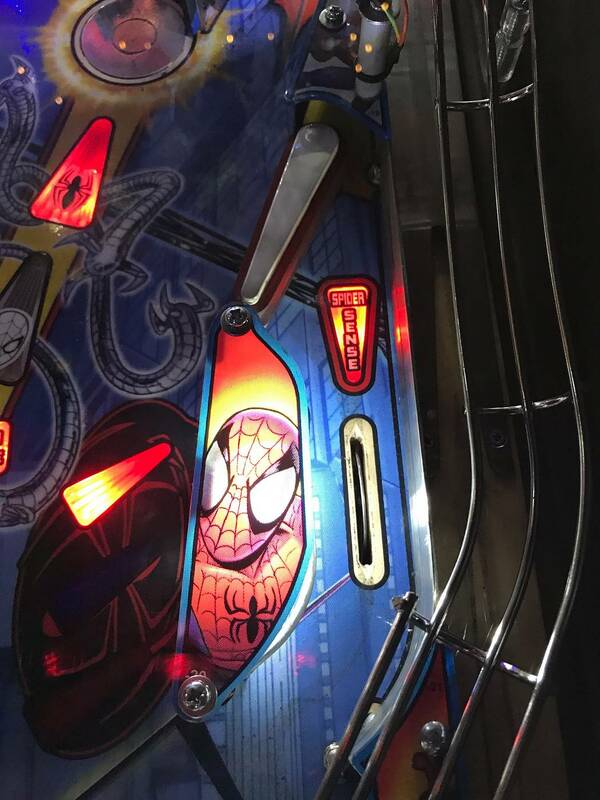 Can't see any detail in the pictures and the way the playfield looks, I wouldn't be surprised if they show wear also. Again, the price is right for what it is, but it's definitely not the great condition and killer deal that so many are saying it is. There are issues beyond cleaning that are shown in the pics, and who knows what else could be lurking in the shadows. I'm a firm believer that not every machine needs to be a beauty queen and perfect, and the price here does reflect that. Just make sure you are actually looking at what you are buying, because "great condition" this is not. Yea...that would definitely help. Besides the ghosting, that wear by the magnet and outlane (and who knows what else is hiding behind those bad pics) will definitely not clean up with some Novus. 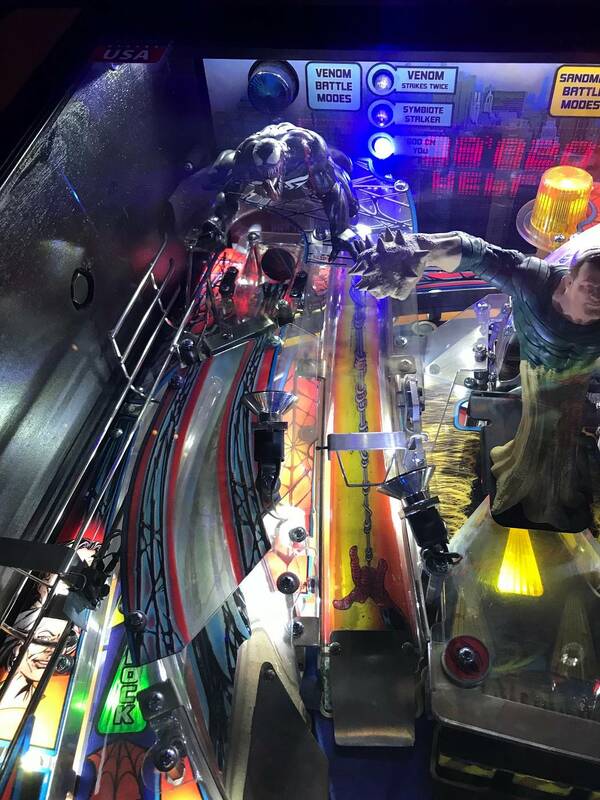 A new playfield would be the only way to fix all that, and like you said there is a good chance Stern would replace it based on the ghosting. 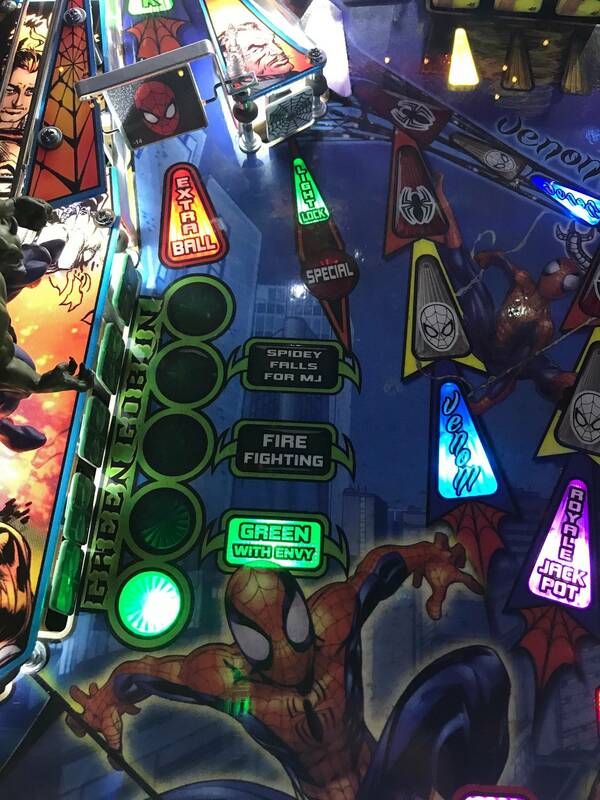 If that happened, yes it would be a great deal (assuming the rest of the machine is nice...can't tell from these pics) If I were the OP, I would try to get it replaced before selling and definitely make more money on the deal. 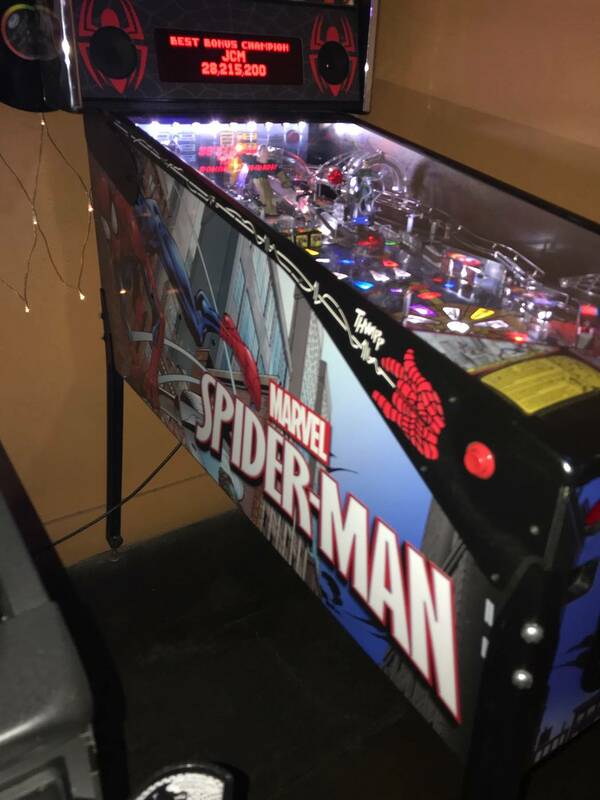 If I were a potential buyer, I would want to see the machine in person first to make sure there isn't cabinet bumps/bruises/scratches and make sure those side rails aren't scratched or dented. 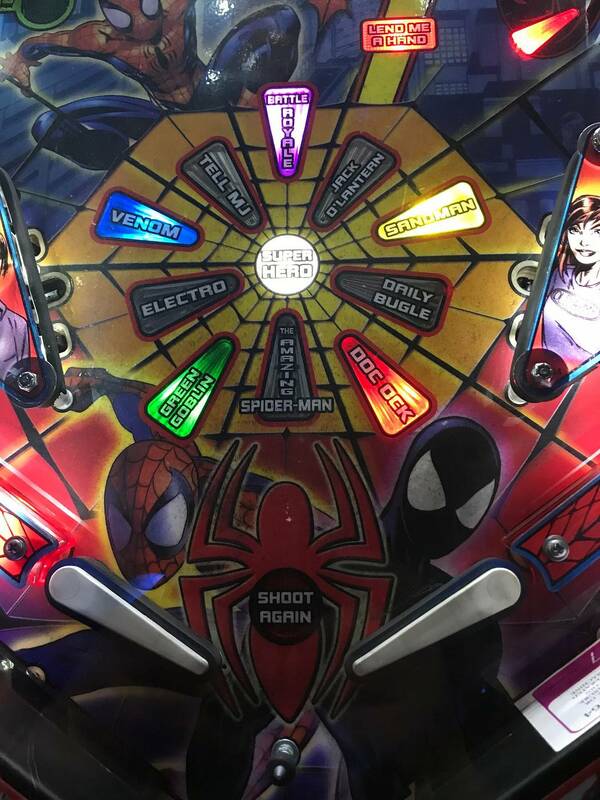 Can't see any detail in the pictures and the way the playfield looks, I wouldn't be surprised if they have issues either. I bet there is zero wear at the magnet. The new magnet design does not cause wear. Probably just dirty. This playfield will clean up just fine. The price is cheap. I think you're shitting on the wrong thread. Hey whatever man. If the glaring issues in the pics are really just dirt or weird reflections or whatever, then the OP should really take some better pics. But I've seen enough playfield wear in my life to be pretty sure that's what I'm seeing. I'm not crapping on anything. I've said multiple times that the price is right for what it is. I just can't believe all the people in here pumping it up as looking great and a killer deal. As always, see it in person before you buy or at minimum get some good pics. I think you're shitting on the wrong thread. I don't see jediturtle shitting on the thread and he makes some very valid points. If it was that great of a deal it would have been gone by now. Nearly every killer deal or "steal" lasts only hours if not minutes on here. It's a good price for a routed game that normally costs a lot more in mint condition but to make it out to be anything else based on those pictures is ridiculous. Yea...totally no ill will meant towards the OP at all. There is nothing wrong with a routed game and it's expected to show some wear. His price reflects that perfectly. I'm sure someone will pick it up and be very happy with it. Spider-Man is an amazing game and the VE is an awesome package. This is a great way for someone to snag one without paying the crazy HUO/mint prices these go for. If nothing else, we've been keeping this bumped to the top! Best of luck with the sale!